It is not simple to resolve conflict within businesses where people bring in different points of view, cultures and values. Resolving conflict within a family may be even more complex because the members have had a lifetime of interacting with one another and their differences may be deep rooted and may have defined their interactions for years. Running a family business, with layers of familial undertones blended with business ambitions is understandably challenging. Disagreements are frequent and can have considerably negative impact on the business - and the relationships within the family, if not addressed quickly and efficiently. There are several problem-solving techniques that help facilitate respectful and positive solutions. The techniques below are inspired by the Harvard-based structure for conflict resolution referred to as "interest-based" model, rather than a "position-based" model. Using an interest-based approach ensures that all participants are at the center of the discussion and are able to be fully expressed about their views and preferences. Skilled advisors will bring out these differences in constructive ways towards common objectives. Be open to resolution. The starting point for resolving anything is acknowledging that there is an issue and then be willing to address it. No amount of external intervention will work if one or more parties are unwilling to face the conflict and openly participate on ways to resolve it. Having an advisor secure the family members' willingness to participate openly is the first step. Be clear about the issue(s). This seems obvious, but many discussions fail because the participants have not clearly defined the exact points of contention and can get hung up on irrelevant or minor details. Keeping conversations focused on the specific issue(s) at hand will be more effective during conflict resolution interventions. While the process can be uncomfortable at times, the reward for addressing conflict squarely is a clearer, better road ahead. Be aware of generational differences. The differences between each generational cohort aren't just in the labels. 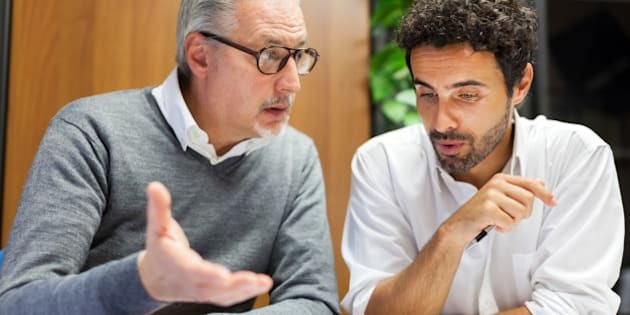 Family business can include members from several generations, and each brings vastly different ideals, values, communication styles and business experience to the table. It's important to know and accept these differences in order to ease the resolution process. Part of the advisor's role is to educate the participants about each of their unique style. Keep emotions in check. It's extremely difficult to resolve anything when emotions get the better of people. It's scientifically known that the reasoning portion of the brain diminishes when people are upset. You can see when this happens - people start to say things that are not necessarily constructive. The best course of action is to encourage participants to agree in advance on ways to disengage when emotions run high. Understand the impact of roles. Family members can operate in one or more of several different, but interdependent, circles as defined by the Harvard-based Three-Circle Model. Understanding which circle each family member operates in, and how each person's position impacts how they perceive the issue that is generating conflict, can help to reach a resolution.